Stay tuned with the latest news of the construction sector, curated by BIMCommunity’s editors. 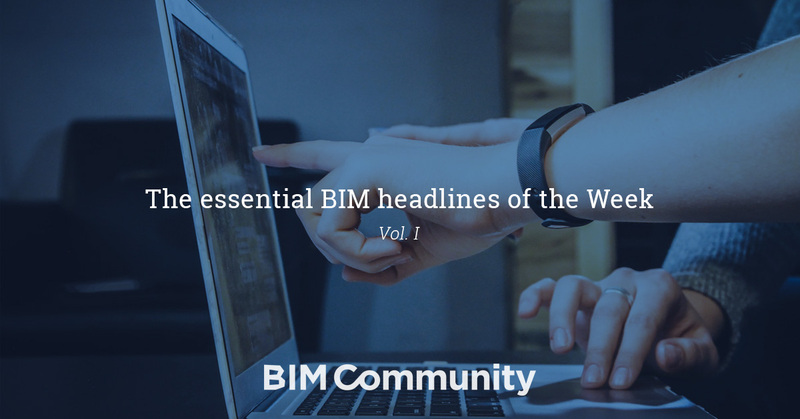 We collected the most read, the brand new content and the latest BIM opportunities posted on the website. How to manage 3rd party infrastructure owners (English): We have all experienced it more than once. We cannot order people outside of our organization, but still something has to be done. Let’s find out what can we do to get electric, digital, and district heating partners cooperate with the municipality’s Infraconstruction. Sensatori & Nickelodeon Hotels and Resorts - Punta Cana (English): Sensatori & Nickelodeon Hotels and Resorts is the beachfront resort, placed in Uvero Alto on the east coast of Dominican Republic. The hotel features 460 suites designed to cater to a variety of travel experiences with an adults-only section, decadent Honeymoon Suites with Jacuzzis and spacious Family Suites as well as 8 private Garden Villas. V&A Dundee Museum: Shaping the sea (English): Located on the shore of the Tay River, the brand new V & A will become one of the most astounding buildings to open in 2018. The design by Kengo Kuma was inspired by the Scottish cliffs and it's also a nod to the form of the RRS Discover, the last traditional wooden ship built in Britain, now turned into a tourist attraction. The Italian Government plans to save 30 billion euros with BIM (Spanish): Regarding the public and in accordance with the draft PNR buildings, an analysis of the use of BIM for planning, construction and management more efficient and innovative buildings, with potential savings of up to 30 billion euros it was made in public procurement. SHK sector in the BIM check: ZVSHK creates basis for BIM use in the trades (English): The joint investigation can be expected that BIM will prevail in the local SHK industry long term. While the working method is already widespread in Western European countries such as Great Britain and the Netherlands, Germany is only one of the emerging economies in terms of its use. BIM for renewable energy: the shell of the Keselstraße hydropower plant (English): The element that immediately catches the eye in the new central on the river Iller in Kempten is the dynamic and elegant shape. The "shell" of sculptural form, almost 100 meters long, brings to mind many associations of ideas: from whales to ships, to smooth stones. Lørenskog: Norway's first indoor ski resort in Oslo (English): Today, a huge indoor ski hall is built at Lørenskog. The 50,000 square meter building has exterior walls that lend inwardly and costly facade elements of aluminum, polycarbonate, dry stone wall and glass fields. The architect's vision was a melting glacier. Hallmark Hotels Refurb (Spanish): The company Constructive Thinking based in Liverpool was hired to renovate several of the properties of Hallmark hotels. Not content with standard workflows overhaul through practice the company generated an ingenious time - saving process to accelerate the project and drastically reduce the loss of income for Hallmark. Which are the differences between digitization, digitalization and digital transformation? There seems to be quite some confusion regarding the usage of terms: What do they mean?